There is a range of insurance policies available to help businesses to improve their employee benefits packages that are desirable to new employees and can help retain current employees. 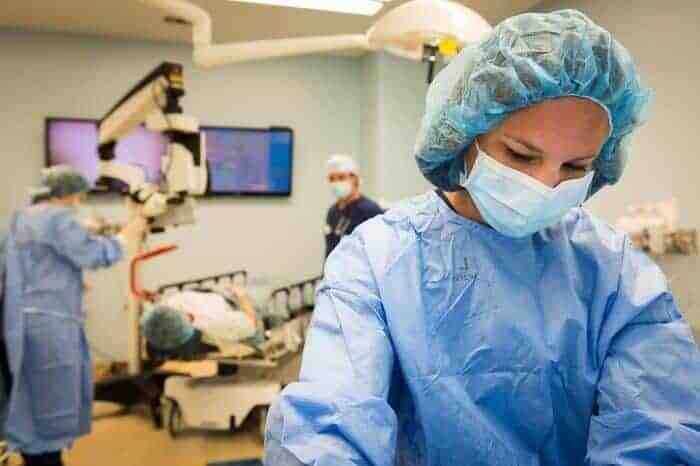 There are several providers that offer health insurance that can also be a benefit to the employer as the employee can often get well quicker and be treated in a more flexible manner. Providing life insurance is also a great employee benefit either as a group life insurance policy covering all employees or relevant life insurance for specified employees. We have taken a look to see what is available below. The table below gives a quick comparison of the top UK providers for employee benefits. Some of the features and benefits of Aviva’s employee benefits. Aviva offers a few products that are good employee benefits. They provide private medical insurance that covers employees with core cover that includes in-patient, day-patient and out-patient treatment. They have a range of additional cover available including mental health, dental and optical. Customers can access their 24-hour stress counselling helpline and Digital GP app. New customers can also benefit from getting the first month’s cover free. Aviva also offers group life insurance which covers all employee that are in service with life insurance that pays out to the family of the deceased. Group life insurance offers a good benefit as it not a taxable benefit and it is an allowable business expense. Some of the features and benefits of AIG’s employee benefits. AIG offers a few business insurance options including relevant life insurance as an employee benefit which is life insurance designed for individual employees only. It offers the individual insured a death in service benefit that their family is the beneficiary of. It will also pay out if the person is diagnosed with a terminal illness. AIG’s relevant life insurance is a flexible product that can be adjusted during the term of the policy as you can change the level and length of the cover. The policy is linked to a specific person which would end when they leave their employment, but the policy can be transferred to a new employer or to the employee. Some of the features and benefits of RSA’s employee benefits. RSA offers a combined product that brings together group personal accident and business travel cover which makes a good business protection package as well as being a great employee benefit. It helps businesses meet their obligations to their employees when asking them to travel abroad and to keep them safe. 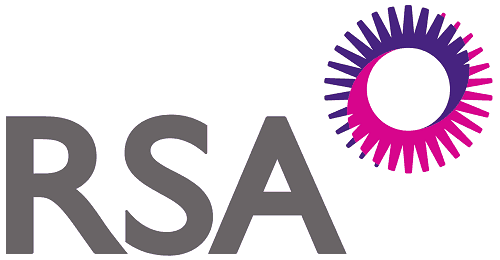 RSA’s group personal accident and business travel policy give employees the peace of mind that their family will receive a lump sum if they die and that they are protected if they have an accident. It also gives them protection abroad if they travel for work as the policy will cover travel insurance, personal security, kidnap and detention cover. Some of the features and benefits of AXA’s employee benefits. AXA offers health insurance that is suited to smaller businesses as it covers 1 to 249 employees. They tailor their policies to meet their customer needs. Through including employee health insurance as part of your employee benefits package it is a great benefit that can help increase employee retention and help with recruitment, but it is also seen as a way of reducing employee absenteeism. AXA’s health insurance is designed to help businesses to reduce the disruption caused by key personnel being ill as they can get prompt treatment that is also flexible so that the employee can better manage their appointments around their commitments. Some of the features and benefits of Zurich’s employee benefits. Zurich offers relevant life insurance and group life insurance as an employee benefit. Relevant life insurance can be a standalone policy or as an extension to an existing group life insurance cover to provide additional cover. Relevant life insurance is a flexible policy and is exempt from inheritance tax and will not impact on the employee’s pension funds. Zurich’s relevant life and group life cover offer a death in service benefit that provides a lump sum payout to the employee’s family. This cover shows the business as a caring employer that values its staff. Beneficiaries can also access specialist support services including nurses, examinations and rehabilitation. 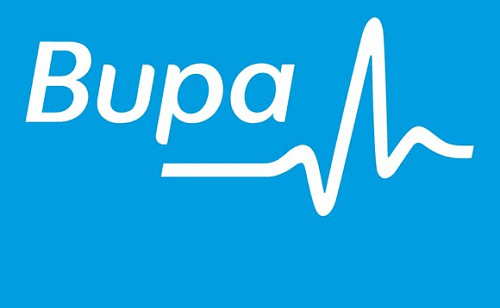 Some of the features and benefits of Bupa’s employee benefits. Bupa is recognised as a private healthcare provider who also offers businesses health insurance which is an attractive employee benefit that can help with staff retention. As Bupa has its own hospital facilities, they can provide access to over 600 facilities which combine their own and partnership facilities. Bupa’s health insurance can offer a variety of cover as they have a range of packages that are designed to meet all business needs and budgets. Their policies can include additional services and offer a range of excess options. They provide cancer cover as standard as well as a variety of outpatient services and mental health treatment. Some of the features and benefits of Allianz’s employee benefits. Allianz provides healthcare and group life insurance as employee benefits which can be purchased as standalone policies. Their group life insurance is a flexible policy that covers all staff and can be based on a fixed amount or the employee’s salary up to 10 times the value to a maximum of €2,000,000. They offer a range of optional extras to tailor the policy to your needs. Allianz’s healthcare products are packaged as core plans with optional extras and supplementary plans. Core plans include a variety of in-patient and day-care treatments. They claim to offer one of the most comprehensive oncology benefits. They have a 24/7 helpline that is multilingual to assist employees. Some of the features and benefits of Ageas’ employee benefits. Ageas provides tailored insurance packages that can be a great employer and employee benefit as it includes death in service and personal accident cover. The policy gives the employee or their family cover that will pay out in the event of the employee dying or having an accident, this could result in a lump sum or weekly payments. Ageas’ personal accident insurance can be a standalone product or supplement health insurance and it provides access to a dedicated personal claim team. The cover can also include employer benefits such as key person insurance where the policy funds the cost of replacing the employee and other employment liability insurance cover. Some of the features and benefits of LV=’s employee benefits. LV= offers relevant life insurance that provides individual life insurance cover for key personnel on an individual basis. It is a good employee benefit as it provides a death in service benefit that will also pay out on the diagnosis of a terminal illness. It can be used as a top up and additional benefit to group life insurance. LV=’s relevant life cover is a fixed plan policy that can’t be changed, and it must be set up in a discretionary trust. The policy is tax efficient as it is normally exempt from inheritance tax, not a taxable benefit and is an allowance business expense for the employer. Some of the features and benefits of NFU Mutual’s employee benefits. NFU Mutual provides relevant life insurance that is a great employee benefit as it gives the employee peace of mind that their family will be provided for if they die or are diagnosed with a terminal illness. The policy will pay out a lump sum to the family. NFU Mutual’s relevant life insurance gives individual cover to employees and is not a group policy but it can be used to supplement a group life policy to give additional cover especially as it does not count towards the pension pot. It is tax exempt for employees and an allowable business expense for employers. Some of the features and benefits of Chubb’s employee benefits. Chubb offers group life insurance that can also include accident cover, so it creates a good employee benefit which is also beneficial to the employer. Group life insurance is a valuable employee benefit that pays out a lump sum to the employee’s family on their death whilst in service and will also pay weekly benefits when the employee is injured. Chubb’s group life insurance provides flexible and comprehensive cover that can be based on either fixed amount cover or on the employee’s salary and multiples of the salary, and it also includes a payout to the employer to help them replace the employee. Some of the features and benefits of HDI’s employee benefits. HDI provides group personal accident cover with the option of business travel insurance as an attractive employee benefit as the employee knows that they will be covered if they have an accident. Employers can decide whether they want to provide cover for work activities only or 24/7 cover which can benefit both the employee and the employer. HDI’s group personal accident cover is a flexible policy that allows the employer to decide how much of the benefit from the policy can be passed to the employee. Employers can choose to use the benefit to help them fund or recruit a replacement employee either temporarily or permanently. Some of the features and benefits of Legal & General’s employee benefits. Legal & General provides two products that can be used as an employee benefit which are group life insurance and relevant life insurance. Both products provide a lump sum to the employee’s family if they die in service. Relevant life insurance is designed for individuals whereas group life insurance is for all employees and is suited to businesses with over 10 employees. Legal & General’s relevant life cover is good for high earners as it does not add to their lifetime allowance and can be used to top up a group life insurance policy. Group life insurance can be paid out as either a lump sum or a dependant’s pension. Some of the features and benefits of Royal London’s employee benefits. 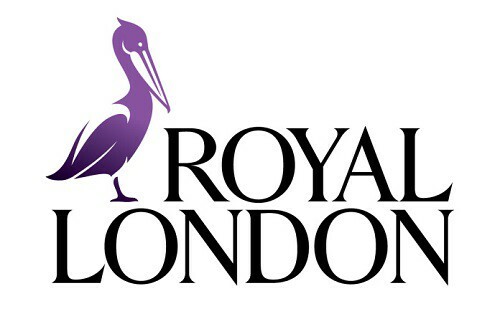 Royal London provides relevant life insurance which is a good employee benefit as it gives the employee’s family protection as they will receive a lump sum payment if the employee dies or is diagnosed with a terminal illness. Royal London’s relevant life insurance is an individual person policy that is great for directors or employees and is most suited to smaller businesses that can’t warrant taking out group life insurance. They offer additional services as part of the policy to help the families and the employer which include a dedicated nurse and their Helping Hands service with employer advice lines. Some of the features and benefits of Tokio Marine’s employee benefits. Tokio Marine offers personal accident insurance that can be tailored to your business needs to create a product for either an individual/s or all employees. This is a great employee benefit as it not only covers death in service but covers them for accidents and illness through the option to include income protection. Tokio Marine’s personal accident insurance gives employees peace of mind that they are covered and their family will receive a lump sum if they die. It can also help protect the business if you chose to add key person insurance as this can help fill the gap in profits from the loss of a key person. Some of the features and benefits of Vitality’s employee benefits. Vitality offers two products that are great employee benefits – business health insurance and relevant life insurance which are standalone products. Relevant life insurance is designed to provide cover for individuals that gives them a death in service benefit that is payable to their family. It is tax efficient as an allowable business expense as well as being exempt from income and inheritance tax. 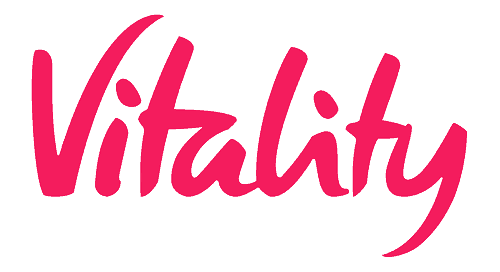 Vitality’s business health insurance is different to other providers as they offer an incentive to get employees healthier through a reward programme which is beneficial to staff and the employer. They provide support through a wellness expert and wellness days to monitor employee health. Some of the features and benefits of Scottish Widows’ employee benefits. Scottish Widows offers relevant life insurance that is a good employee benefit that covers death in service and diagnosis of a terminal illness. Their policy is flexible with a choice of a fixed amount or increasing cover. Although it is designed for individuals you can select to cover up to 25 employees on a single policy. Scottish Widows’ relevant life policy is an allowable business expense and is not a taxable benefit. The cover can also be transferred to a new employer or to the employee if they change jobs. They provide cover that starts at £25,000 and can go as high as £25,000,000.